Newt Gingrich created a Liberal Break down last night at the Republican Debates in South Carolina. The Dems want Romney as the candidate because they’re sure Obama will beat him hands down. The thought of Newt Gingrich running against Obama sends them into a frenzy and although they’ve always had a problem with articulation – now they’ve verging on a mental break down. Chris Matthews is the one who bragged about the Obama tingle up his leg is borderline schizophrenic – his thought processes and emotional responses somewhat resembles a junk yard dog who’s lost a bone. Chris’s big beef was the fact that Newt Gingrich called Juan Williams by his first name, “Juan.” Last time I checked that is Juan’s name. Speaker Gingrich very respectably called Mr. Williams by his first name and Matthews threw a “hardball” tizzy. What really upsets Chris was Newt’s comment about Barack Obama being the food stamp President. Newt is darn sure right – there are more people on food stamps now than any time in America’s history. Here’s a quick FYI for Chris Matthews, Obama and the Democratic Base – Obama wouldn’t be carrying the title of “Food Stamp President” if he hadn’t stolen our stimulus money and shackled all businesses big and small with the stupid EPA regulations. Jobs, plus jobs, plus jobs = robust economy – food stamps. 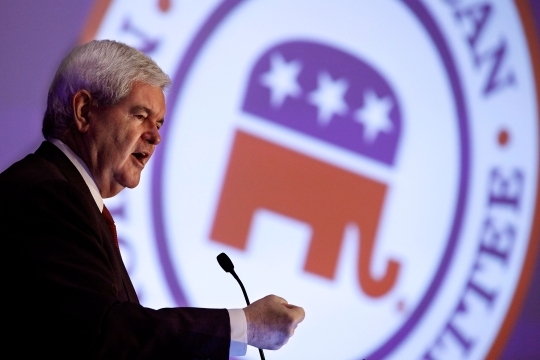 Newt Gingrich exemplifies leadership skills that we haven’t seen since Ronald Reagan’s era. We need a Commander in Chief who wants all Americans, regardless of skin color or race to once again achieve the American Dream. Way to go Newt! Eric Holder the (AG) of the United States has certain duties according to the laws of our Country; the AG is the head of the United States Department of Justice. He is the “big dog” in charge of enforcing law, not by his rules but the laws of the land. If the Attorney General is incapable, incompetent and irresponsible, the House of Representative have the power to impeach him and there is reasonable cause the Senate may try him for bribery, high crimes and misdemeanors. Homeland Security was created after the 911 attacks and today Janet Napolitano holds the position of Secretary of Homeland Security. Her duty first and foremost is to keep our Country safe, our borders secure, infrastructure protection, preparedness and response, information technology and aggressively fight against terrorism. The US Border Agents are also under the long arm of the Secretary of Homeland Security. So let’s go back to 2009 when Obama handed Holder 10,000,000 of our stimulus money specifically for an operation called the Fast and Furious gunrunner. This was a scheme to walk high powered weapons from our turf across the Mexican border into the hands of the drug cartels. The Obama Administration, the DOJ, the DHS, ATF and maybe other agencies collectively devised a plan that would destroy our 2nd Amendment and take our gun rights away. Obama and all of the Government Agencies were involved, which means they all have to assume the responsibility for one of the most corrupt scandals in our USA. The Fast and Furious Gunrunner operation is responsible for the murder of two of our Border Agents (Brian Terry and Jaime Zapata.) In addition to those murders, hundreds of Mexicans have been murdered by weapons from our United States. Anyone or ones who intentionally place our men and women in harm’s way are should stand trial for murder. If it were any other citizen of the United States that had committed crimes like this, they would be behind bars as we speak. Obviously it was the “big guns” who were in charge of orchestrating this operation. Obama specified that 10,000,000 of our stimulus money be funded for the Fast and Furious Operation. Holder and Napolitano put this operation in motion in April 2009 in their speeches to the Mexico/United States Arms Trafficking Conference in CUERNAVACA, MEXICO. Border Agents and ATF personnel and gun owners repeatedly questioned the dangers involved in selling high powered weapons to the drug cartels. Whistle blowers stepped forward and testified under oath about the gunrunner operation. 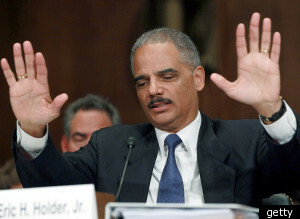 Holder and Napolitano both perjured themselves under oath when questioned about the Fast and Furious gunrunner operation. Enough is enough, citizens of the USA need to have their voices heard and remove Eric Holder and Janet Napolitano from office immediately. Please take time to contact the people in charge of this investigation and the House Speaker, John Boehner. 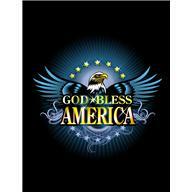 It’s time to take back our Country and insure that everyone regardless of their position obey the laws of our land. Here is the information for the Committee of Oversight and Government Reform. He came to the White House with a dream,a dream of a more prosperous American,a dream for those not quite so fortunate who were struggling to make ends meet, a dream to take over a house majority, the first time in 40 years. A man arrived at the White House with a Contract for America and that man was Newt Gingrich. The Republicans had sat peacefully, totally disengaged refusing to perform their God given duties to maintain a Government of the people, by the people and for the people. They had formed an Elite Club and were most protective of the status quo. They really didn’t aspire to be a majority in the House – why ruffle any feathers when their cushy jobs gave them special perks, bonuses and lots of time to dwell on their social life. In fact politics was the Republicans’ hobby and they weren’t inspired to make it a real job and become a public servant. But, Newt Gingrich came along and their lives were changed forever, although many resented Newt he was able to reach across the aisle and join hands with President Clinton. Clinton and Gingrich weren’t bosom buddies, absolutely not – but they both agreed that our Nation was stumbling and in need of major repairs. Newt was aggressive, demanding and on a mission that the Republican establishment didn’t wish to participate in, now that they were a House majority after 40 years some of the younger studs decided they’ve remove this “super star” so they could re-establish their Elite Club and live happily ever after. Newt definitely was one of Clinton’s best resources and when it came to foreign policy Newt was definitely an ally of the White House. This was one time in our Nations’ history that that Republicans and Democrats reached across the aisle and our Nation became strong. The budget was balanced with a surplus of approximately a quarter of a trillion dollars. 2012 our Nation is Over 15 trillion in debt, it’s hard to envision a surplus, but it can be a dream come true in the next few years. Newt Gingrich and President Bill Clinton accomplished more in a short time than any two men in our Nation’s history. 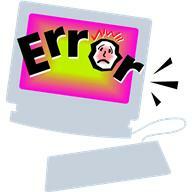 Due to the bills passed unemployment went to 4%, millions of Americans were working again. The two corrected many of the core problems that our Country is facing now. Together they addressed and implemented regulations on financial institutions, income equality working together on poverty – in short they brought a struggling Country back to a Nation with a robust economy, a balanced budget and both Republicans and Democrats concentrated on those who were in the poverty bracket. But, as so often seen when one person jumps to stardom literally overnight, there were those who would rather “fight than switch.” So overnight a few renegades decided to bring the star back to reality; they felt they’d lost their identity and were determined to remove Gingrich as Speaker of the House. Gingrich actually was empowered by the failed coup, but he was already making plans to step down as Speaker of the House and make a run for President of the USA. Newt Gingrich learned many hard lessons during this time, but the positive changes and progress made during this interim will remind all Americans that it is possible to balance a budget and create a surplus. It is possible to give those living in poverty a hand up not a hand out and it is possible to bring the unemployment rate to an awesome 4%. It is possible America to put our Nation back to work, just think we have a pipeline that would put thousands of Americans back to work. We have some of the greatest sources of energy in the whole World – we just need to tap into our God given resources. Although Republicans and Democrats have kicked our American Dream under the bus – we can still retrieve it and bring it back to America. It is possible for Republicans and Democrats to reach across the aisle working together to restore our struggling Nation. President Bill Clinton and Newt Gingrich are the proof of the pudding – nothing more needs to be said at this time except put Newt Gingrich in our White House as President of the United States of America in 2012. Only Obama and team have enough guts to blitz Presidential ads that are power loaded with lemons. It’s not a matter of a slight falsehood here and there; it’s their mode of operation. Obama’s team along with all of the Liberal News Media tell never ending lies about any and all of Obama’s failed policies; they’re border line pathological liars and they do or say anything to protect their weak leader. Just in case you thought Barack Obama would change his political tactics from 2008, you were wrong. He’s hell bent on spewing lies on the campaign trail, totally forgetting that Americans remember the “hope and change” bit. There is a difference in his 2011 and 2012 campaign though, he is extremely angry with many of the Democrats and Liberals and his campaign messages are quite toxic. His most recent punch line can be seen on one of the first Presidential ads in 2012 – he’s defending his record on energy. This would be laughable if it weren’t so serious. Plouffee and Axelrod aren’t stupid and they want to sweep the Solyndra, Sun Power, Tesla and Fisker under the rug, but there’s more problems coming our way and this ad will haunt them in 2012. This ad is a perfect example of what we’ll be seeing in 2012 and it is a “FULL BLOWN LIE.” Obama’s energy policies are costly and they reek of illegal loans, grants misusing taxpayers’ money and a way to pay off his big bundlers. Solyndra 585 million down the drain, Sun Power at least 1.2 billion of our money gobbled up and the Fisker and Tesla problems just keep hitting us below the belt daily. Talk about slinky lousy energy policies – we’re talking about a Commander in Chief who just nixed the Keystone Pipeline which would give us a big boost in energy independence and create thousands of jobs. 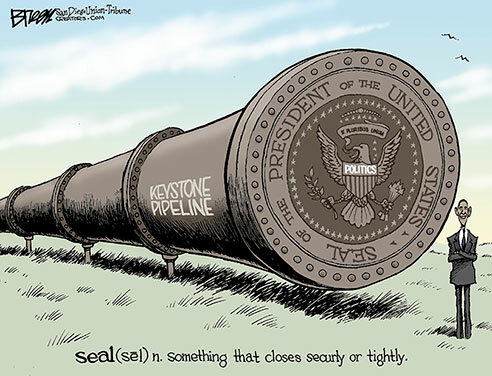 Many Democrats support the Keystone Pipeline – Senate Democrats who like the project are Claire McCaskill, D-Mo, Mary Landrieu, D-La, Mark Begich, D-Alaska, , Jon Tester D-Mont., Mark Pryor, D-Ark., and Kent Conrad, D-N.D. Max Baucus D-Mont and there’s many more who support the Keystone Pipeline. The reason for stopping the Keystone Pipeline is just a bunch of political trash – he’s buying off the environmentalists and surfing for votes? His latest and greatest campaign punch line, “Mitt Romney, Rick Perry, and Newt Gingrich all say they would cut foreign aid to Israel — and every other country — to zero.” Obama takes everything out of context and puts a spin on it hoping to capture a few more votes here and there. Not one of these Candidates said they were zeroing out aid to foreign Countries they were applying “zero based budgeting” which doesn’t mean Countries won’t receive money from the USA, nor does it mean that Israel foreign aid is being cut. So the smooth talking Obama with his trusty teleprompter either can’t hear or he doesn’t speak English. The construction Unions are adamant about Obama nixing the Keystone Pipeline saying, “We are completely and totally disappointed. This is politics at its worst,” LIUNA General President Terry O’Sullivan said. “Once again the President has sided with environmentalists instead of blue collar construction workers – even though environmental concerns were more than adequately addressed.Blue collar construction workers across the U.S. will not forget this.” Jobs at our fingertips and Obama won’t let Americans go back to work. 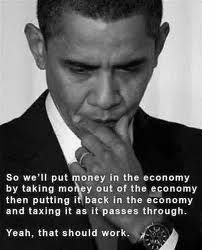 Obama has two things in mind for the remainder of 2012; (1) Borrowing more money, which we don’t have for his “redistribution” agenda, and (2) Dividing our Nation via class warfare, which will leave us totally dependent on the Government. Obama will continue following the “Rules for Radicals” trying to distract and divide the Country. He obviously is using the Cloward/Piven strategy for he has created an economic crisis in the past three years and now Obama and Democrats are managing the crisis by asking for more money and overwhelming our Government with entitlement demands. 2012 will be a tough year for Americans but when making a decision next fall at the polls – ask yourself these questions: (1) Am I better off than I was in 2009, (2) Are my friends, family and neighbors better off, and (3) Will our Country be another Greece if we keep spending without paying our National Deficit off? 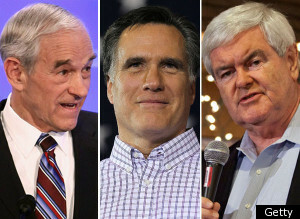 Why is Ron Paul splintering votes in the Republican Presidential Candidacy run? Ron Paul is not just an innocent bystander so strongly convicted that he believes he’ll be the next Presidential Candidate for 2012. There is a behind the scenes strategy that is very likely is a pay back against Newt Gingrich. Laughlin switched from Democrat to Republican and of course Newt and the Republican Party backed Laughlin. Paul was irate about two things: (1) The Republicans backed Laughlin who had switched parties; (2) Newt was a strong supporter of Laughlin (New Republican convert.) But what Ron Paul hasn’t shared with anyone – Ron, much like Laughlin switched parties too going from a Republican to Libertarian. Switching parties isn’t a crime Ron! “Paybacks are hell,” and Ron Paul is delighting in the fact that he along with Mitt Romney gave Gingrich a good dunking in Iowa and New Hampshire. The ads in Iowa were of vile, vicious, non-factual information against a fellow Candidate. Paul and Romney spent millions in Iowa attacking Newt – in fact most Iowans couldn’t flip on the TV or radio without hearing or seeing the smear tactics against Newt. Neither Romney nor Paul lost any sleep over their behavior in Iowa or New Hampshire, because together they derailed Newt or so they thought until the Republican Debates January 16, 2012. Ron Paul is somewhat like Obama, what you see isn’t really what you get. Ron seems to have a fettish for the Liberals. Here are some of the reasons the Liberals are playing footsey with Paul. He’d definitely end the war on drugs and decriminalize marijuana. He’s anti-war and has promised to shut down military prisons like Gitmo. Paul and Barney Frank co-authored an article for Huffington Post presenting a task force that would recommend a trillion dollars in tax cuts from our Military. Here’s the article July 6, 2010 on Huff Post and David Horowitz. Paul strokes the backs of the Wall Street Protestors referring to their destructive and dangerous protests as a peaceful assembly allowing protestors to shout their grievances to the Government. Anyway you shake it, Ron Paul is Mitt Romney’s best friend and so far has insured that none of the other Presidential Candidates can take over the lead; Paul knows what he’s doing – the question is what are his real motives? We need to make sure we tone the rhetoric down – now Americans would agree to that statement as we enter the Presidential Election for 2012. But, there’s a slight problem here – the messenger that made this statement is Debbie Wasserman Schultz. Debbie as we all know is the “Mouth” for the Democrats; she’s the DNC chairman. She’s more like a “rambler” – when asked a legitimate question she acts dumber than a door knob and just starts rambling in a nonsensical jumble of words. How sad that on the anniversary of the terrible atrocity in Tucson, Debbie mentions Gabby Giffords whom all Americans love and she insinuates that the Tea Parties are in some way to blame for the tragedy. This shows the environment in the Democratic camp; they’re not just struggling, they’re desperate. This speech by Wasserman accentuates the problems in the Democrat base. They have a fallen leader, who many Democrats want to replace with Hillary Clinton. Many of them are worrying about job security. Debbie’s speech at the Politics and Eggs Forum is indicative of a chair person who’s lost her chair. Out of one side of her mouth she’s saying tone down the rhetoric and out the other side she’s blaming the Tea Parties for the act of an insane man too sick to stand trial for the massacre in Tucson, Az. Speaking of sick, how sad that Debbie used Gabby Giffords to exploit her political rhetoric. She used a young woman who has had the fight of her life as an excuse to spew venomous rhetoric about the tea parties. One would think she owes Gabby Gifford and the tea parties an apology on National TV – but the “mouth” has taken center stage and refuses to apologize to Gabby or the tea parties. Politifact in Florida shows the top ten fact-checks of 2011 and Schultz made the top ten, which is nothing to brag about – once again she’s been caught red handed. Shultz said, “That’s actually not true.” Politfact shows her statement false and Wolf’s statement was 100% correct about the wealthiest Americans paying the most in taxes and that 50 per cent of Americans don’t pay taxes. Here’s a taste of what we can expect from Democrats in the remainder of the 2012 Presidential Campaign. Politicfact has compiled some blatant misstatements by the “Mouth” (Debbie Wasserman Schultz). December 2011 – Debbie denied that unemployment went up under Obama. Unemployment was a tad over 7% December 2008 and the official U.S. unemployment rate rose to 9.9 percent in April, 2011. If those who have quit looking for jobs were counted, unemployment would be well over 15%. Debbie lied about Paul Ryan’s Medicare restructuring saying it would end Medicare as we know it trying to scare senior citizens. Debbie’s pretend pitty party for seniors was a lie! Remember Schultz voted to cut Medicare and Medicaid when she voted for Obamacare. Debbie, Pelosi, Reid and Obama actually have dangled “Granny” over the cliff and they have no intention of rescuing her. Debbie called the GOP agenda “anti-women” and “a war on women,” she is angry because many think Planned Parenthood should not be funded by the Government. Planned Parenthood should either fly on its own or close its doors – they claiming huge profits, so taxpayer’s should not be supporting them. Why the Democrats have allowed Debbie Wasserman Schultz to hold the DNC chair position remains a mystery. Even some Democrats from Florida asked her to step down or step up. 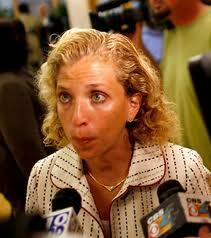 Debbie Wasserman Schultz is another Joe Biden with big hair and a dress. Like Biden she’s so gaffe – prone that most news media believe she’s good for a few laughs because she’s just plain clueless. But then again, how does one defend a Commander in Chief who has the worst track record in of our Nation’s history? How low can Obama go in his Presidential run for 2012? In a speech today he’s doing some deep sea fishing for middle class votes promising them an effective lean Government – those words would make most politicians “gag.” Americans know what Obama’s Government looks like; it’s ineffective fat and full of corruption. His latest smooth selling snake oil pitch is on “insourcing” jobs – CNN as usual jumps on his band wagon trying to pawn off “insourcing” as the latest and greatest idea for Americans and businesses. CNN pretends to be doing an apple to apple comparison of Obama and Mitt Romney. They actually have egg on their face comparing Mitt Romney’s involvement with Bain Capital to Obama’s not so new “Insourcing” idea. They’re trying to throw Romney under the bus for doing what America has done for many moons and it’s called Venture Capitalism. Venture Capitalism comes with inherent risks – some struggling companies actually get a new face lift and exceed all expectations in growth and profit. Other companies need more than a face lift; they need a total restructuring which often times requires firing the founder and founding teams. Then there’s Obama who didn’t invest in our Country – he uses 787 billion dollars to pay off his many bundlers, Unions, Special Interest groups, defunct car companies and corrupt lenders. Not one of his schemes have created jobs or contributed to a healthy work environment. Furthermore he has hamstrung businesses holding them hostage for over three years. Obama didn’t give our Nation a face lift; he performed a debilitating plastic surgery on us that has rendered our once beautiful America unrecognizable. He extracted jobs from our Country via deals like Telsa, using over a billion dollars of taxpayer’s money for a company located in Finland giving the Finish our jobs. The Keystone Pipeline is another example of Obama putting politics ahead of our Nation’s job growth. The EPA studied this project for three years and determined the pipeline project had no significant environmental risk. Obama’s talking about insourcing, what better way to put his money where his mouth is and approve the Keystone Pipeline project? Obama has agressively fought to stop our coal companies – so many jobs have been lost due to his political ideology and EPA’s senseless power struggle. Although Obama talks a good talk –behind the scenes he’s doing all in his power to stop our economic wheels from moving. Look at money and jobs lost at Solyndra and now Obama wants to pay millions of dollars in bonuses to the few employees left behind to close Solyndra’s doors. Obama and the DOE gave 1.2 billion dollars to Sunpower a company a solar energy company that might offer 10 to 15 jobs in the future. Sunpower is a real job stopper! He’s run out of ideas for the 2012 Presidential Campaign because he doesn’t have a track record worth “tidally.” So now we’re hearing about “insourcing”, which isn’t unique or a new idea; just study the Chinese they have a monopoly on “insourcing.” Every Obama speech during his campaign in 2012 will be bundled with his “hope and change” of 2008 – will Americans fall for this smooth talking snake oil salesman? Donald Trump, Steve Wynn, Howard Schultz and other professional business people have told the Obama Administration why businesses are stagnant. It’s not a mystery, it’s easily fixed, but Obama doesn’t want our Nation to thrive. Here are three of the reasons; (1) EPA excessive regulations, (2) Obamacare, and (3) Taxes. All of these problems could be taken care of immediately, but Obama refuses to lead our Country; instead he opts to destroy our Nation. If and when CNN stops pandering to the Radical left and until they learn how to compare “Apples to Apples” their political news remains pretty insignificant and lifeless.